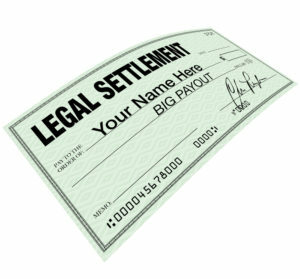 When Should You Settle Your Lawsuit? The stakes can be pretty high for both sides in a lawsuit. This is especially true with personal injury cases where possible damages can run into the millions. Waiting for financial compensation can be stressful when your life has been changed due to an injury or death. The choices running through your head usually veer from settling for less now or waiting it out to get justice. There’s a third option that can help, but you may wonder, “is it risky to take out loans against my lawsuit“? What Factors Into a Lawsuit Timeline? Is it Better to Wait or Take a Fast Settlement? About 95 percent of lawsuits end with an out of court settlement at some point before a trial’s conclusion. Life can be difficult if you’re waiting for compensation and you have no income coming in due to an inability to work. You should always hold out if you are still recovering from a serious injury or you can prove liability beyond a doubt. A good personal injury lawyer will be able to advise you on the question of whether to settle or not. Lawsuit loans can provide you with a lifeline while you wait. Deciding whether to take an early settlement or fight until the end depends on how important the outcome is to your future. When the stakes are high, it’s good to know you have options available to take care of your expenses should you decide to wait it out.